You know you have the best husband in the world when you both make it through January without a drink, and then he comes home on February 1st with a bottle of champagne. Teaspoon in the bottle ey? Now is that a serious thing or are you just seeing of you can make me do it?! Lovely photo and well done on a booze free month! Well we do it as a serious thing… but according to the interwebs it doesn’t actually work! 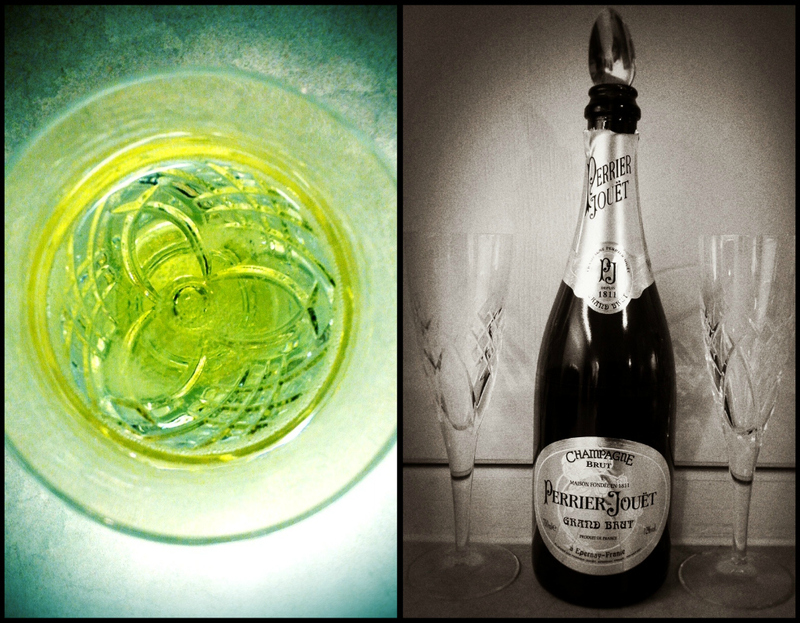 Unfortunately, champagne doesn’t last long enough in my house to require a spoon to keep the fizz. Beautiful photo & brilliant husband! I use the spoon trick too-no idea how it works mind! Or even if it does! Yay! There are a lot of us, erm, spooners out there! Ooh, haven’t had champagne in years! Apparently the spoon things is a myth http://news.stanford.edu/pr/94/941221Arc4008.html but then, he does say the scientists were probably a bit drunk! I can’t believe a group of scientists actually did that! Thanks! A drinker’s eye view!